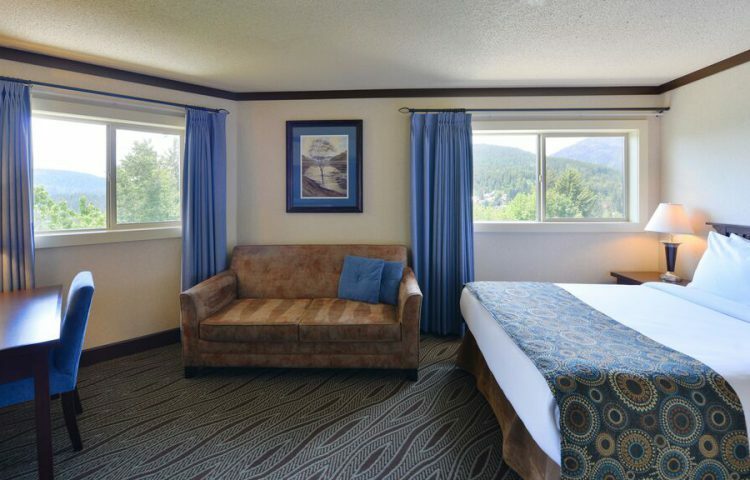 The Prestige Mountain Resort in the charming city of Rossland is situated between the Monashee and Selkirk mountains. The resort is an ideal destination for family vacations, outdoor adventures, romantic getaways, and business retreats. After a day of hitting the links or skiing, escape to the comfort and elegance of your guestroom, indulge in the culinary offerings at the on-site restaurant, or sink into the hot tub and unwind after exploring Rossland. The resort features deluxe guest rooms, designer suites, meeting & banquet facilities, restaurant, lounge, sauna, and fitness centre. Inquire about our seasonal packages and offers!